Julia King is a recent graduate from Indiana University. She is responsible for upkeep of our social media platforms here at The King Group. Prior to her assistance here, she has worked for companies such as Civic Entertainment Group (New York City), Michele Marie PR (Los Angeles), Whitney Eve (Los Angeles) and WTIU – Indiana Newsdesk (Indiana). She excels in the social media, marketing and production industry – growing our Instagram page steadily over a short period of time. 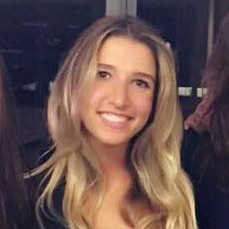 Julia was a member of the Honors Society throughout college and was an active member in the Business Careers in Entertainment Club at Indiana University.